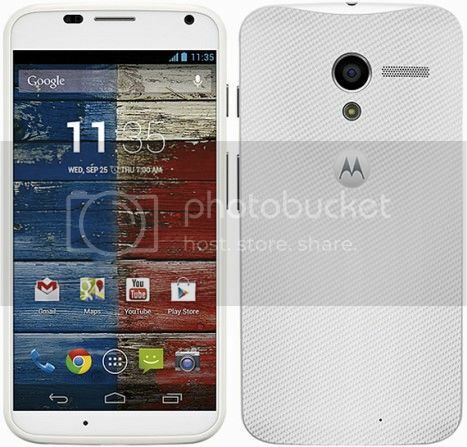 After months of anticipation leaks, Google has finally unveils its very first smartphone-the Motorola X. This is the very first smartphone conceived of, created and sold completely after Motorola was acquired by Google. 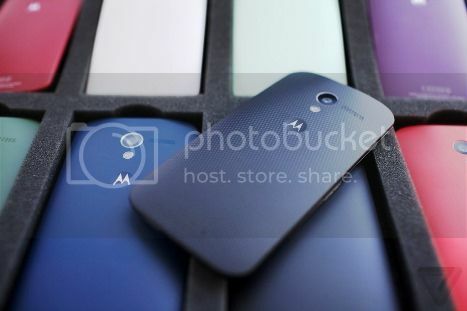 Moto X promises innovative design and features that will make it more aware and "sensitive" to its surrounding. One of the 3 most promising features of Moto X are "Touchless Control", 2-second pocket to shutter camera and highly customizable casing colours. Or also known as "Active Voice"-Touchless Control allows you to awaken your Moto X and operate it even without touching it. For instance all you need to do is say, "Ok, Goole Now!" and the screen will unlock on its own. You can do virtually everything with this active voice features: Making a phone call, sending an sms, getting navigation directions, searching something on Goodle, change the track of music, checking the weather, setting a reminder etc. Amazing right? With Touchless Control Your Moto X is Always Ready for you! 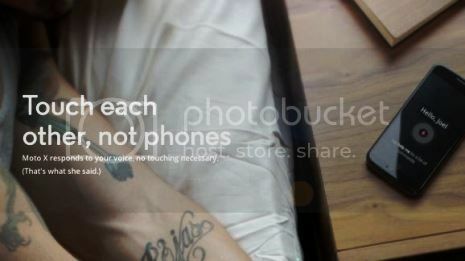 You do not need to get connected to the internet for Touchless Control to work. The best part is Motorola Moto X will learn your voice and allows only you to give it orders! So it will only respond to you and only you alone. How cool is that right? This Touchless Control feature is really something that can make our live a lot easier and safer as well. Now you can make a call even without touching you smartphone. Awesome feature from Google and Motorola! We all know how important camera is to a smartphone right now and that is why Google is heavily promoting the camera on its Motorola Moto X! The most unbelievable feature about Moto X is the speed where you can go from locked displayed to captured photo in just 2 seconds! Imagine now from your pocket to snapped photo you only need 2 seconds...versus times of 8 to 10 seconds with other smartphone. This is lightning fast. This is something that other phones have yet to address right? Quick Capture to snap all your priceless moments! 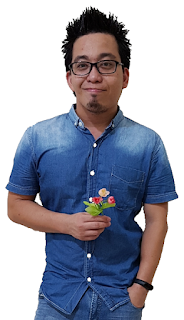 So how can you reach for your smartphone, take it and snap a photo in just 2 seconds? 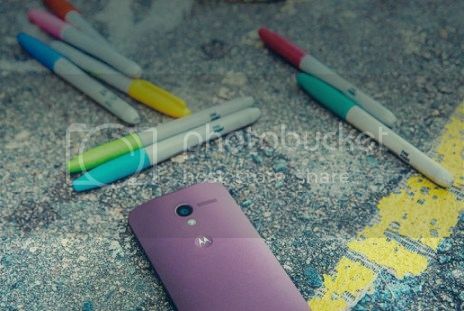 Let's look at the technology behind Motorola Moto X shall we? 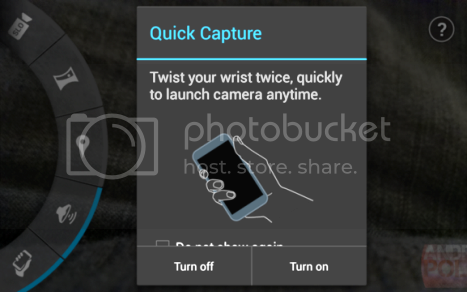 Apparently Google has created a gesture that automatically wakes Moto X up to camera mode. Once you reach for your Moto X, just twist the phone over once or twice, you will activate the camera and then pressing anywhere on the screen when the camera is on will take a photo. Voila~this is what we call never miss another priceless moment! The new Motorola Moto X's 10-megapixel camera shooter uses a technology called Clear Pixel, which will let in 75% more light for more accurate sunlit and night time photos. 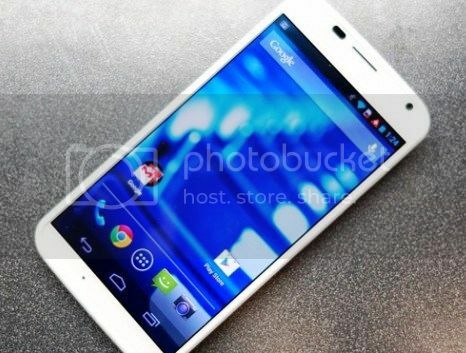 On the flip side there is a 2-megapixel front-facing camera for your selfies and video calls. Moto X has a very clean camera interface where all the setting have been moved off the screen. You can fetch them just by swiping to the left. Besides you just run your finger up or down anywhere on the screen to activate the digital zoom. Pretty intuitive and easier to use, especially with one hand. 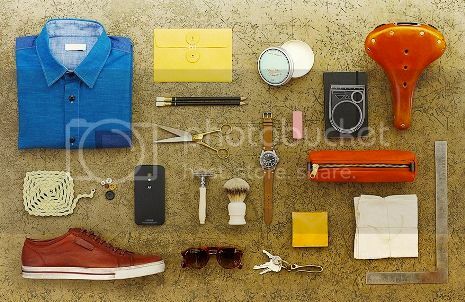 This must have been the most inspiring feature about Moto X. Motorola will allow you to go to a website and completely customize how you want your Moto X to look like. At Moto Maker, you can choose from 18 different back colors, two front colors and about a dozen colors for the volume buttons and camera lens rim; you can also also choose to emboss a signature on the back of your Moto X and choose a wallpaper that ships with your phone. Now this is really, really personal. Yes~you can choose your colour! 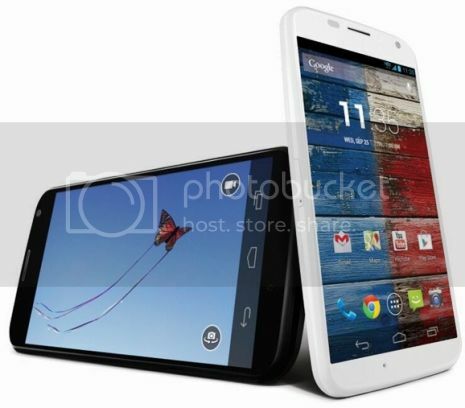 Motorola Moto X has a 4.7inch AMOLED display with a 720p HD resolution (1280x720) with a density count of 312ppi. Moto X employs a 720p display (instead of 1080) to help the 2,200 mAh battery to live up to its promise of 24-hour (full day) battery life. Still the display looks stunningly clear and crisp without any appreciable difference compared to a full HD screen. A smart move by Google here. Under the hood, Motorola Moto X is powered by the X8 Processor which is essentially a mashup of a customized dual-core 1.7GHz Qualcomm Snapdragon S4 Pro chipset, a quad-core Adreno 320GPU and two digital signal processors-one for natural language (Touchless Control) and the other for contextual computing. This customized combo of processors will help to keep power consumption to the very minimum. Besides you will have 2GB of RAM to support the main processor. You can even choose the colour of your camera rim and buttons! Moto X runs on Android 4.2.2 Jelly Bean instead of the rumored Android 4.3. 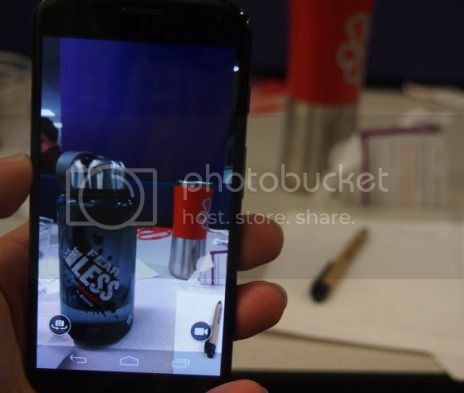 It is notable that Moto X hews closer to stock Android, with three onscreen capacitive navigation controls. Google tried to put away as many bloatware as possible to keep Moto X fast and light. Then again there are special features that are all Moto X's own. There is a unique active display element called Peek which is a notifications pop up on the lock screen; holding the alert bubble brings up more details, like the message interior, even when the phone is locked. You just need to slide up to open the app. To sum it up, Motorola Moto X is an awesome smartphone that can hold up on its own. It comes in 2 different storage 16GB and 32 GB respectively. The only drawback is the absence of external storage. Otherwise Motorola Moto X is by far one of the best smartphones up there together with the likes of Samsung Galaxy S4 and HTC One X. I really wanna see if Moto X can give Samsung and its Galaxy line a run for its money or not. 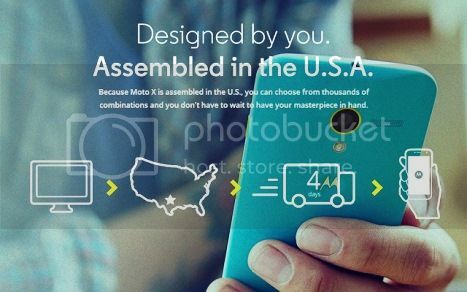 Moto X is something that Americans can be proud of! The Moto X which supports 4G LTE and Bluetooth 4.0 should be available either by the end of August or shortly thereafter, on AT&T, Verizon, T-Mobile, Sprint and U.S. Cellular. Motorola has not announced a formal release date or price, but says suggested retail value is $199 for a 16GB model with a two-year contract. 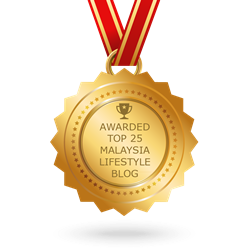 I believe it will reach Malaysia by December with a retail price of RM1,999. So are you excited? 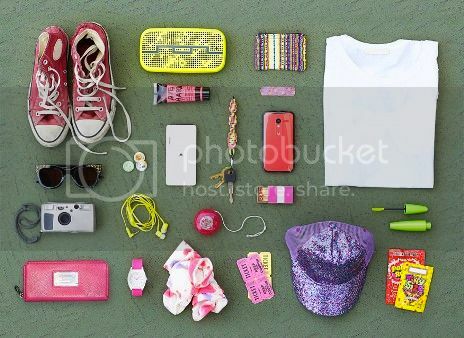 For more information got Motorola Moto X official page. So who wants Motorola Moto X? P.S. : iPhone was not mentioned until now because it can't even compete with Moto X. Besides Apple iPhone is assembled in China where workers were exploited. :/ Yeah~I am being biased.